San Diego noise punkers, Wavves is fronted by Nathan Williams aka Bethany Cosentino’s (frontwoman for Best Coast) boyfriend. What an adorable little lo-fi, weed lovin’, surf rockin’ couple! Speaking of Best Coast and boyfriends, Best Coast’s new single, “Boyfriend” can be downloaded here. Wavves third album, King of the Beach is now available on iTunes and will hit music stores (are there any left?) on 8/3. 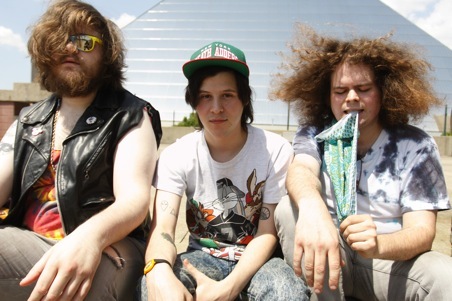 All you’ll need are some tasty Wavves, a cool buzz, and you’ll be fine when Wavves plays at the Rickshaw Stop on 8/18/10…tix go on sale tomorrow.